With a lighting designer as a theater professor, it is only fitting that my final blog entry for this class concern holiday style lighting techniques. So, no it’s not spectacular. But I personally helped design this fantastic set up while I was home for Thanksgiving. The inside of the home is even better! But I did not even think to take a photo of that while I was there. Opportunities missed…. Anyway, the lights on the porch twinkle and give the front of the home a beautiful “starry sky” type feel. The deer’s head moves up and down as well. All in all, it’s an adorable, well-put-together holiday set up that is not overwhelming! 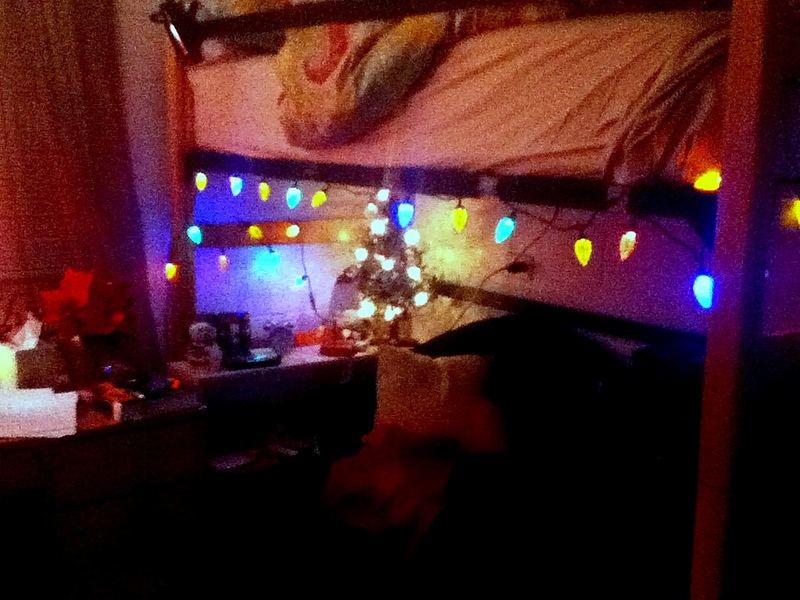 The next best place I thought of to show you all was my home away from home: my dorm room! Notice how the multi-color lighting continues throughout the room. I sure did not want anything to look tacky! Further, I think the poinsettia adds a nice Christmas touch. It’s not a lighting aspect mind you, but it brings a little something special to the table. 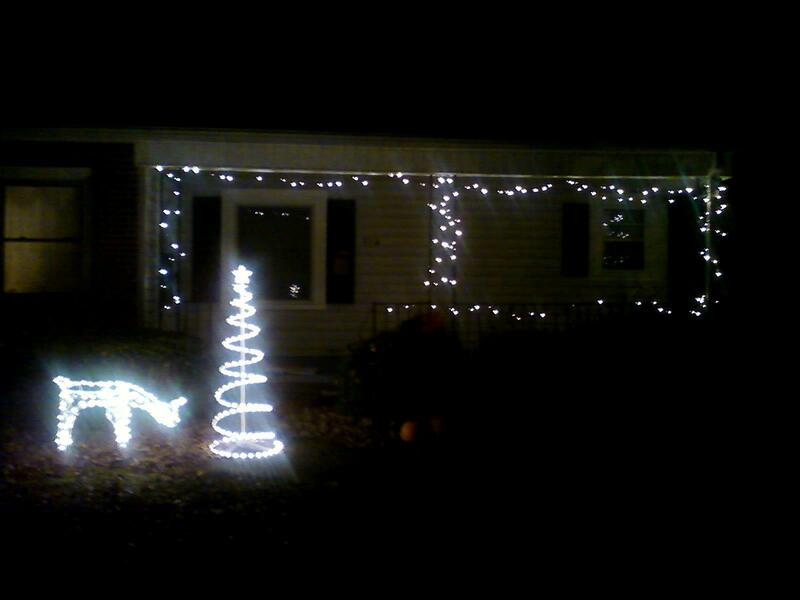 The real trick to Christmas lighting is not overdoing it. I know some homes light up their front yards so much that a random floating spaceman could see it, but in my home(s) this is not the case. You have to know your space as well. Think about the best way to utilize your area! 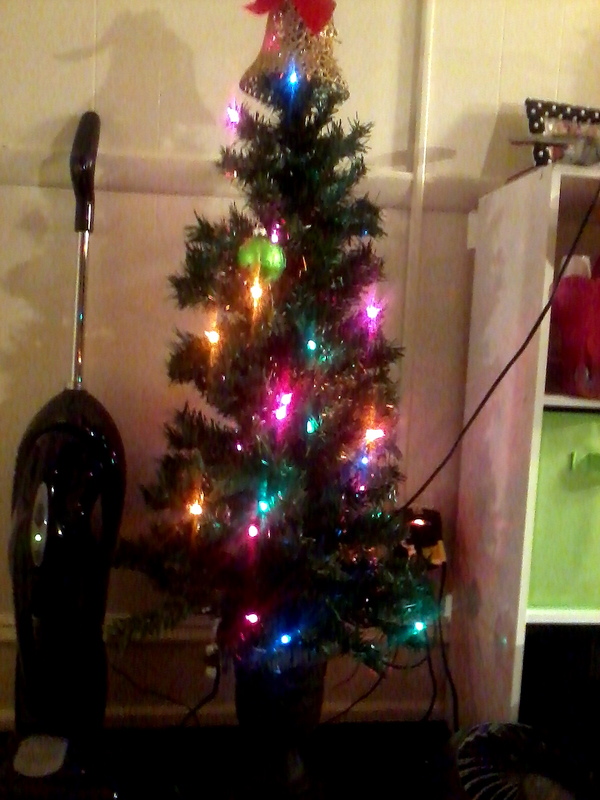 I strategically placed the tree in one corner that I feel never gets enough attention. Now, there’s a nice little lighted surprise every time you walk in the room. The luminaries and lighting on the trees is really something spectacular. 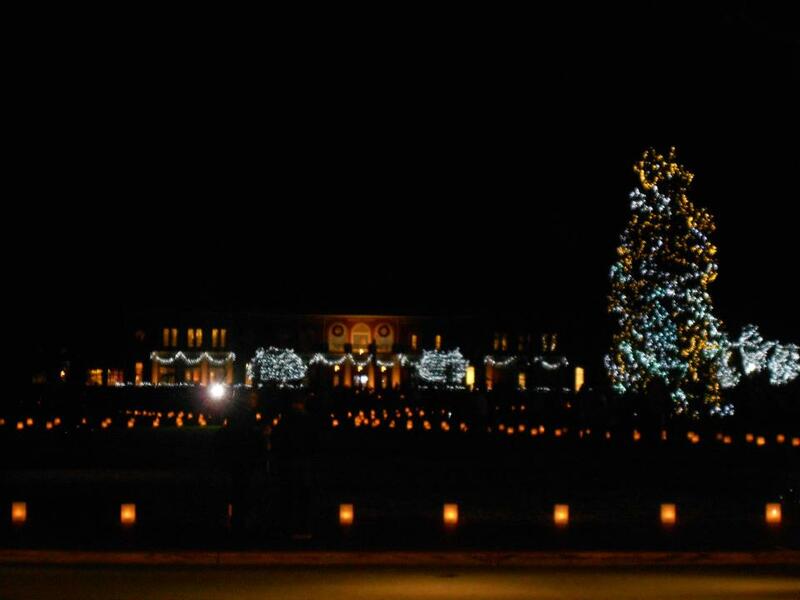 I truly believe no other campus does Christmas quite like Elon does! The lighting design all over campus is something that anyone could appreciate. The time that was put in to the project was really worth it. This is by far, the best set up of holiday lights I’ve seen this year. In short, go out and look for your own favorite holiday light decor! I hope my theater tech class, Bill, Paige, and everyone else enjoys their holiday season.